I am delighted mention that we have been fortunate to receive the article written by Shri. 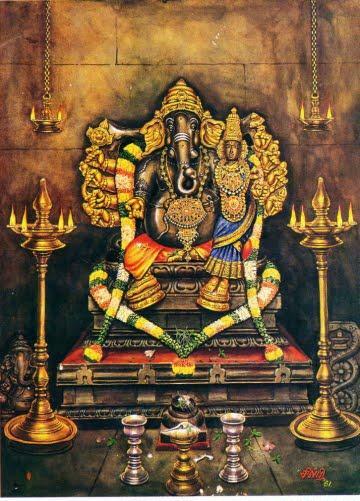 G. Subramaniam (vRishabhAnandanAthA) (grandson of ShrI ChidAnandanAthA, son of Shri pUrNAnandanAthA, and disciple of Shri yOgAnandanAtha [Injikollai KunjithapAdam iyer] ). He has been kind enough to provide the article on the very important topic – Traipura siddhAnthA. He has written it in a very simple language, easy enough for even a beginner to understand and contemplate. sandhyavandana. I am sure most of us are aware of such a thing in existence and several senior upasakas would have had this krama as part of their routine. However, in the current generation, atleast based on my interactions with the upasakas, I feel that this procedure is either ignored or forgotten. When I asked around for the reason for not following the tantrika sandhya, the common response I get is that it is complicated or unclear. Hence, it was decided to include the tantrika sandhya procedure (as in SrividyA nithyAhnikam written by Sri ChidAnandanAtha.) in this issue by breaking it up into small steps with detailed instructions in English to help Upasakas to follow it. Once taken into a daily routine, this tantrika sandhya krama should not take more than 5 minutes. I hope this would help the upasakas to perform this nithya anushtana and bring this into their daily routine. One of the greatness of the shrIvidyA path is its universal acceptance – does not differentiate between the varnAs, caste, or gender. Everyone is eligible to enter into this path and merge with Lalitha MahAtripurasundari. 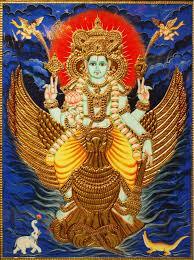 Now, for those people who are part of a varnAsramA or gender that does not prescribe a sandhyAvandana kramA, they all are eligible to and should perform tantrika sandhyavandana and give arghyA to not only LalithAmbA but also the the pratyasha dEvatA – SUryA. Those who are part of those varnAshrama that prescribes a sandhyavandana in their daily routine, should perform that vaidhika nithya anushtana but also include tantrika sandhyA vandanA as part of their routine. 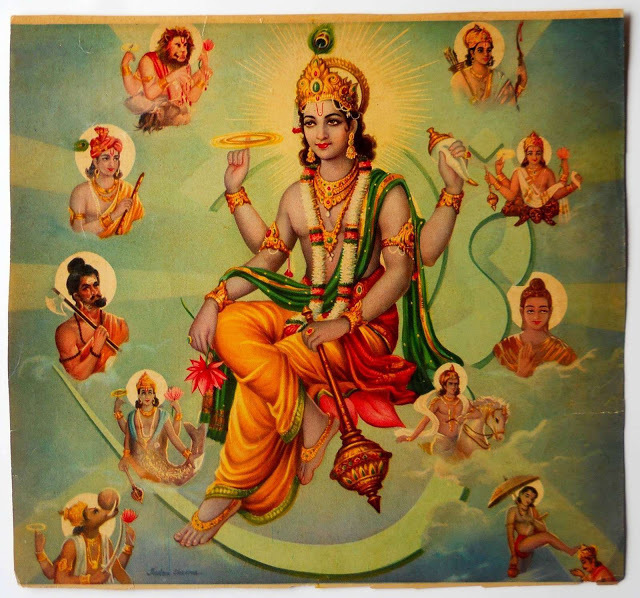 TAntrika sandhyA is performed four times during a 24 hour perio d – PrAtha sandhyA -Morning (Just before Sunrise), MAdhyAnika SandhyA – Noon (When the sun it on the top of the head), SAyam SandhyA – Evening (During Sunset), and Turiya SandhyA – Midnight. mantra for giving tarpana to MahAtripurasundari. In the text provided, the kAdi vidhya mantra has been used. If a person belongs to the hAdi vidhya or sAdi vidhya, those mantras should be used for giving tarpana to Mahatripurasundari. In the case of turiya SandhyA, the tarpana mantra will be the same for all upAsaka regardless of their paramparA. However, the kadi vidya kUtas in the gayathri mantras should be replaced by their relevant hAdi or sAdi vidya kUtas for the arghya mantrA. perform the Turiya sandhyA. If in doubt, please check with your Guru prior to performing the Turiya SandhyAvandanA. It is very important for each of the shrividyA upAsakA to read lalitOpAkhyAnA atleast once to understand and contemplate on how and why lalitAmbA appeared and the tatva behind the battle with bhaNDAsura and his army. After the killing of bhanDAsurA, the dEvAs praise the empress with lalitA stuti (this is included in this issue) and build palaces for her to rule from. These palaces have multiple layers(forts) and each of them are guarded by dEvatAs and those dEvatAs have anga and upAnga dEvatAs and AvaraNAs as well. In this issue, a very high level description of the shrInagara is included and the AvaraNa’s for mahAkAlA, vasantaRutunAthA, and mahArudrA are produced. Shri. 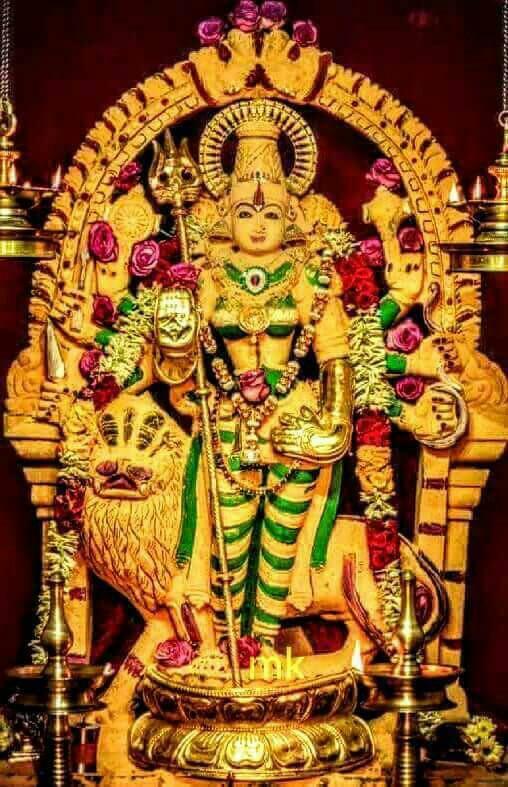 Ramesh Kutticad (AtmAnandanAthA) has been kind enough to share an excellent article on patishad rudrA meditation and this gem of an article is a proof on how lalitAmbA is revealing Herself through the words of AtmAnandanAthA. He has also answered several questions received by us from the upAsakavRundhA. The photos included in the first page of this issue are the mUla vigrahAs of the lalitA shakti pITam in prayAg. SatI’s fingers fell at this place. The primary temple is supposed to be at MiyApur. However, there is another temple called KalyAni mandir which is also claiming that it is the true shakti pIth. Hence, it is suggested to visit both temples to avoid this confusion.The top photo is from the lalitA mandir in miyApur and the bottom photo is from the kalyAni mandir. The interesting thing about the lalitA mandir is that there are about 116 mEru’s in that temple and puJas and abhishEkas are done to all of them on parvA days (see picture below). It is a true treat to witness that. performing the tedious work of proof reading this magazine. It is because of them, several spell errors and procedural errors have been eliminated in this issue and this emagazine has come out to be a worthwhile edition that can be used by the UpAsakA community.